Vegas, and Clark County, NV area. Some homeowners prefer to search by zip code using our Las Vegas zip code map. Active Number of Listings in Las Vegas for the past 5 years. The median (average minus the highest and lowest sales) sales price for single-family homes in the Las Vegas area is $300,000 at the end of March 2019. In March of 2018, the median sales price was $275,950 which reflects an 11.5% increase year over year. The Average Sales price for a Condo in Las Vegas in March was $145,143. In higher demand areas of the Valley, we expect to still encounter multiple offers where the majority of home sales now will be more “available” to buyers. 2019 will continue to be a great market for both buyers and sellers. 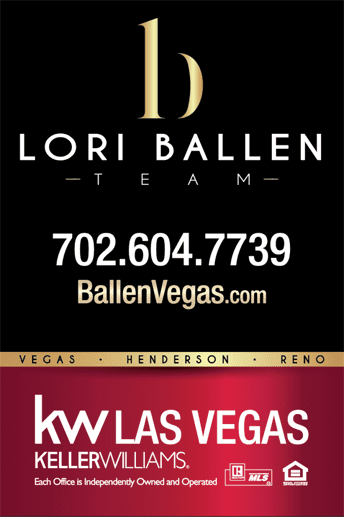 If you are thinking of selling and wonder how much your house might sell for in today’s Las Vegas Real Estate Market, use this instant home value estimate or call 702.482.7739. We serve Henderson, North Las Vegas, and Las Vegas and have partners across the nation as well. A total of 1,691 homes were sold during March 2019 and a total of 299 townhomes/condo were sold during the same month. Average time on the market for homes and townhouses/condo is 47 days for 2019. 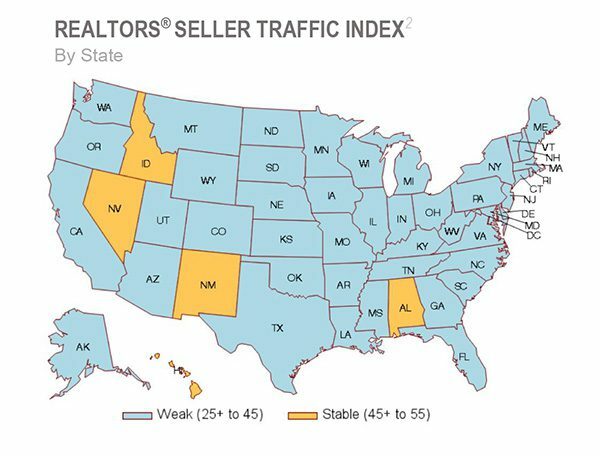 A single family home is selling at an average of 49 days in 2019 with first quarter seeing little change. The total number of active listings in March were 6,366, up from 3,929 in March of 2018, and higher than the 5,586 during March of 2017 when we saw distressed property listings. This influx of listings is creating more housing inventory. The average list (original price) to close price for single-family homes is 97.7% and condos at 96.7%. Nationally the median single-family home listing price was 249,400 and the average income for a household was $77,902. The national average for homes on the market was 87 days only two days faster than this time last year. National inventory grew 6 percent year over year while inventory in large markets increased only 12%. 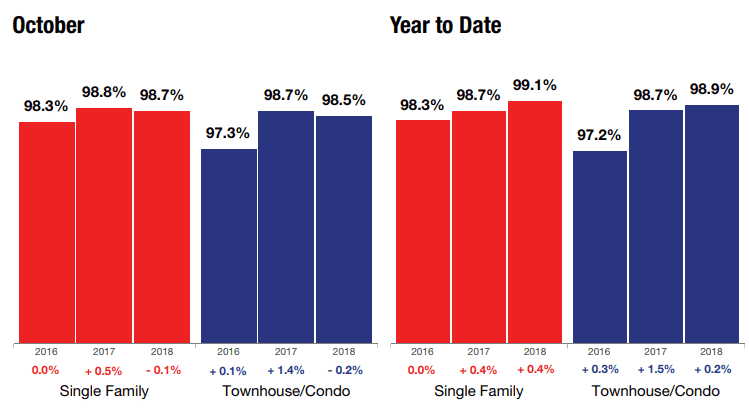 According to Realtor.com data. The Las Vegas-Henderson-Paradise, NV area had a median list average of $314,994 an increase of 8% from the previous year. Inventory overall is up 8% in the Las Vegas-Henderson-Paradise, NV real estate market. 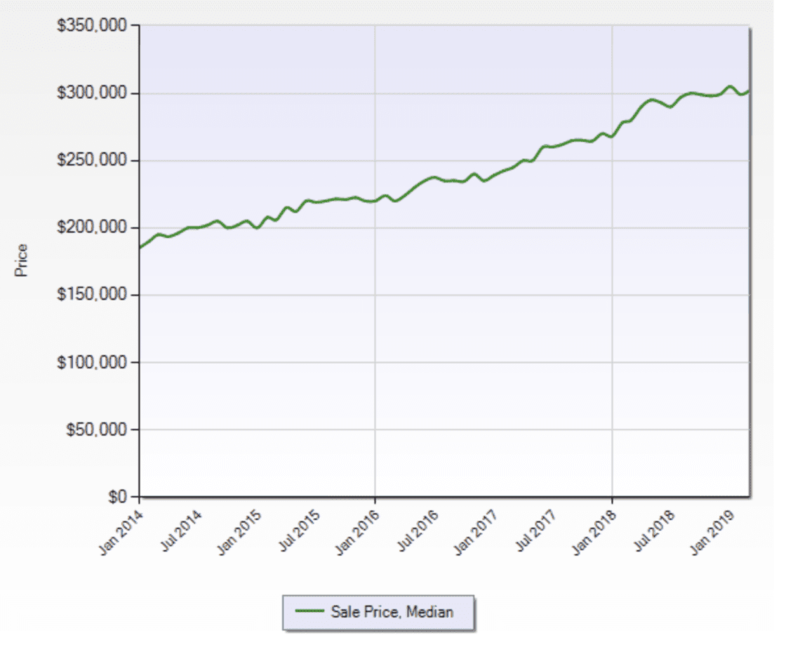 Clark County, Nevada maintains a steady rise on average home prices with a sales price for March 2019 of $302,000. North Las Vegas homes ended March 2019 with a median single-family home price of $260,000 and median days on the market is at 46 days. Henderson, Nevada saw median list price decrease to $339,900 from January 2018, median number of days on the market is up slightly to 29 days. At the end of the month, there were 7,959 single-family homes on the market in Las Vegas. Read More about what's happening in the Las Vegas Real Estate Market here.